Something happened to Timmy. He’s gone rogue. One day he was being all cute and cheerful hiding in the homeschool room and then the next day he’d apparently teamed up with Loki. 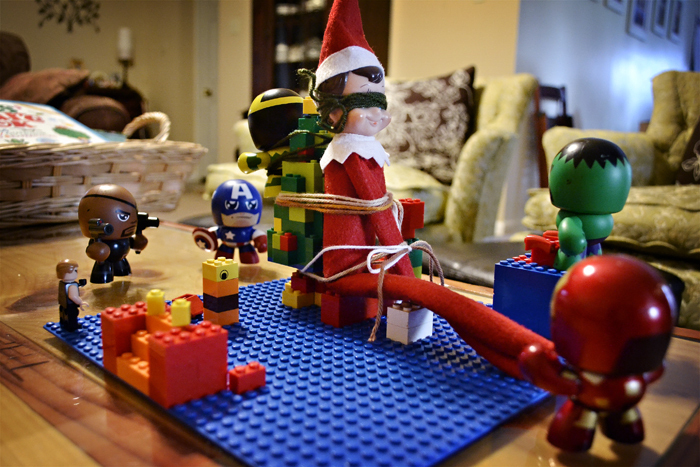 We’re not sure what they were doing, but the Avengers didn’t like it. When we got up Sunday morning, Timmy and Loki had been bound. It was quite alarming! We didn’t know Timmy had it in him! 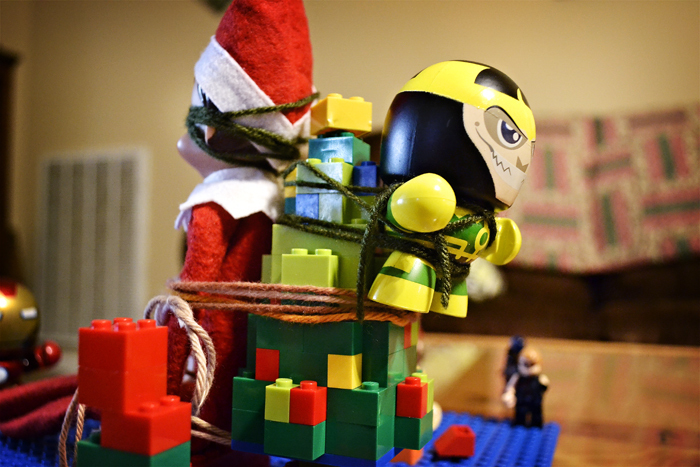 Loki is very persuasive, so when they somehow broke free by Monday morning, all the Avengers had been captured and trapped in a pitcher. 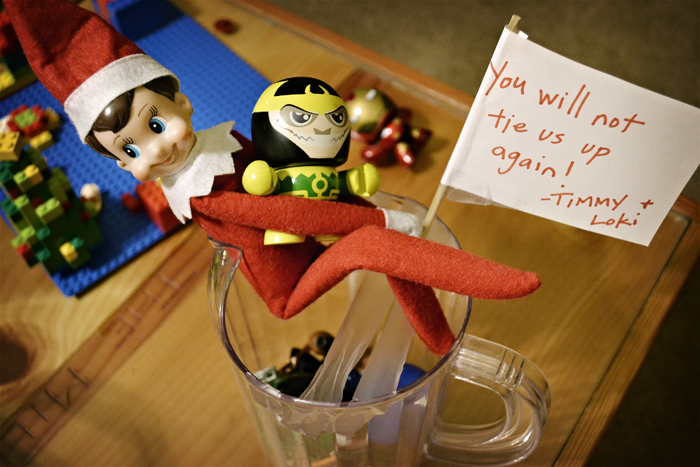 Chuck and I are certain Timmy will return to his sweet Elf ways by Christmas, but based on this morning’s scene, I’m not so sure. This time, the Army caught him. 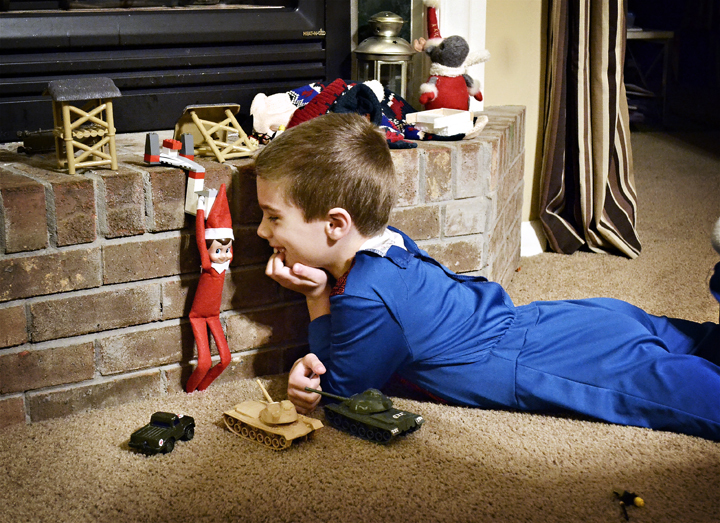 Naturally, Timmy’s predicament didn’t keep Jackson from whispering to him his Christmas wish list. I’m pretty sure I heard him say web shooter. All I can do is laugh… thanks for that bit of morning cheer!